On the Chajnantor plateau of the Chilean Andes, in South America, at an altitude of 5,000 meters above sea level, countless white bowls kiss the sun. An array of parabolic “dish” antennas observe the universe in unison, capturing large numbers of radio waves. The antennas aim with unique precision to detect, track and analyze data in radio frequency, and merge information at a central processor—the largest ever built. If they are perfectly synchronized, a precision much better than one millionth of a millionth of a second between equipment located kilometers apart, scientists are able to see the sky interferometrically. The ground-based radio telescope was introduced to the world as the Atacama Large Millimeter/submillimeter Array (ALMA). In type and scope, the facility could be compared to the Very Large Array in New Mexico or the Institute of Millimetric Radio Astronomy (IRAM) in France, but with a much higher resolution. More than thirty of the sixty-six onsite antennas are able to achieve imaging in higher densities and spatial/spectral resolution. At millimeter and sub-millimeter wavelengths (0.3 to 9.6mm), astronomers are able to study celestial objects such as swirling gas that formed the first stars in the very early universe, billions of years ago. 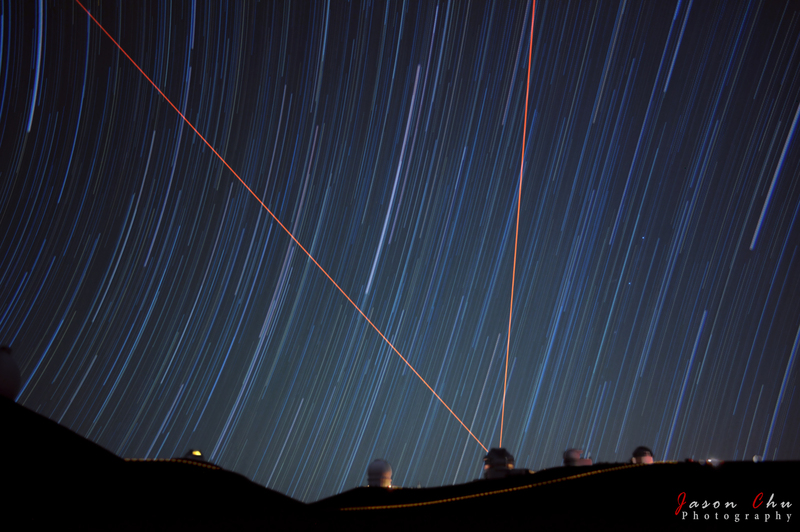 Scientific observations began at the end of September, and the global scientific community raced to take part in the largest astronomical project to date. 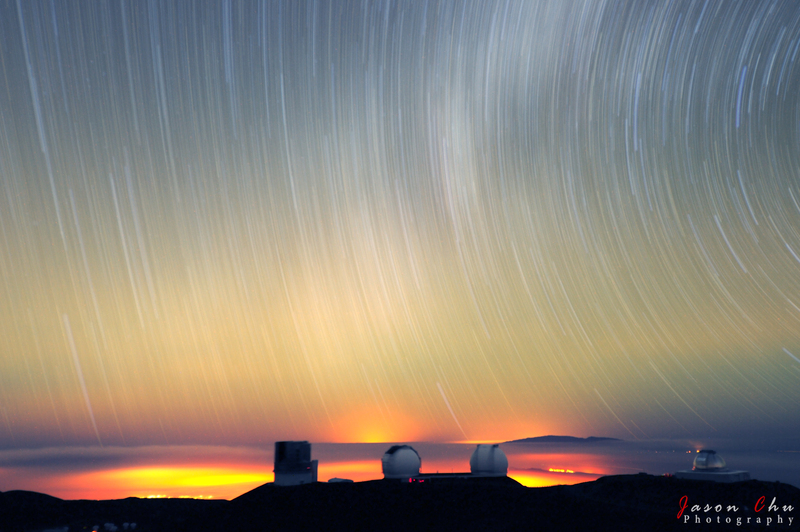 Professors and students of astronomy, and scientists from various fields of study, submitted close to a thousand proposals for the first round of observation, dubbed Early Science. A panel of seventy-five judges assessed applications on scientific value and technical feasibility, and selected around one hundred highpriority projects divided into four broad categories such as Stellar Evolution and Cosmology. Projects were approved from prestigious technical universities, California Institute of Technology (Caltech) and Chalmers University of Technology in Sweden, prominent research institutions, IRAM and Harvard-Smithsonian Center for Astrophysics, and world-renowned observatories, Marseilles Observatory in France and European Southern Observatory (ESO) in Chile. Recipients from North America (including the American space agency NASA) topped the list, followed by France and Japan. Not one recipient from Lebanon submitted a proposal, however, I had recently learned of two Lebanese astronomers that had applied with two separate, non-Lebanese institutions. Dr. Cyrine Nehme from Notre Dame University (NDU), traveled to IRAM to study planets outside of the Solar System. The other collaborated an American on a project proposal advised by Dr. George Helou, a member of the faculty at Caltech and Director of the NASA astronomy program Infrared Processing and Analysis Center. In the past he chaired review committees to guide progress toward ALMA observations. Helou, who is also Lebanese, obtained his Bachelor of Science in Physics at the American University of Beirut. From early on he became interested in measuring the emission from galaxies at a wavelength of 3mm. “This method is unique and quite accurate, but before ALMA it was an extremely difficult measurement,” he writes in an email. He hopes to use the method and “compare to other estimates of star formation rate, such as infrared emission at various wavelengths.” The idea for his colleagues is to find the best overall estimate, he enthuses, but more importantly to learn about the stars being formed. Scientists had only been able to see carbon monoxide or hydrogen cyanide forming around stars. But with new developments in telescope technology, they are able to look into the entire chemical spectrum in all glory. They are also able to study how stars modify dust and gas environment where new ones are born. Helou and his colleagues look forward to ALMA’s advanced tools to research the building blocks of stars once studied by popular American astronomer Carl Edward Sagan, with whom Helou had the opportunity to work while in graduate school. Lars Ake Nyman, heading the Department of Science Operations at ALMA, takes pleasure in learning about star formation and the circumstellar structures of evolved stars. He explains that astronomers now have the capability to explore much more. “The next generation instrument,” has the multipurpose function to study comet orbits around the sun, planet moons and recently formed galaxies, “sometime after the big bang happened.” He mentions that optimal conditions are better in the winter when low levels of humidity and dry climate allow for observers to operate the instruments more effectively (the antennas are able to withstand thunderstorms and heavy rain without any damage). “But there are still chances of snowstorms and earthquakes,” with half as much oxygen available at sea level, he remarks. Sadly, due to the harsh condition applications are not able to conduct research onsite. In spite of that, scientists from around the world are keen on getting the rest of the facility up and running. While they anticipate the coming of next year when the facility should be complete, an NDU instructor is concerned with contracts. Roger Hajjar illustrates over email that ALMA was developed by the astrological collaborations of Europe, Japan and the United States. The international partnership, costing over a billion dollars, continues to be spearheaded by three major partners: ESO, National Radio Astronomy Observatory in USA, and National Astronomical Observatory of Japan (Canadian, Chinese and Taiwanese institutions also important partners). “If you don’t belong to none of these partners, you practically have no right to submit an application,” unless you work with astronomers somehow affiliated with the consortium, he writes. And that becomes a challenge for Lebanese-based astronomers trying to get their foot in the door. Hajjar is also concerned with the available science at ALMA and how it fits with the training and topics of interest to current astronomers in Lebanon. He mentions that most lack the experience and training in radio-astronomy. 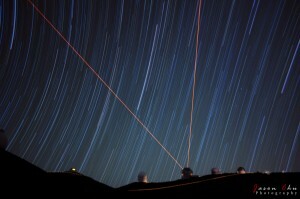 Another concern is time-sharing arrangements, or the time available to use telescope data. Once accepted, applicants have ten months to log eight hundred hours, “compare to the number of hours in ten months, knowing that radio astronomy is a day-long sport!” Hajjar understands,however, that it is too soon to draw any conclusions since ALMA is still in development, commissioning and testing phase. 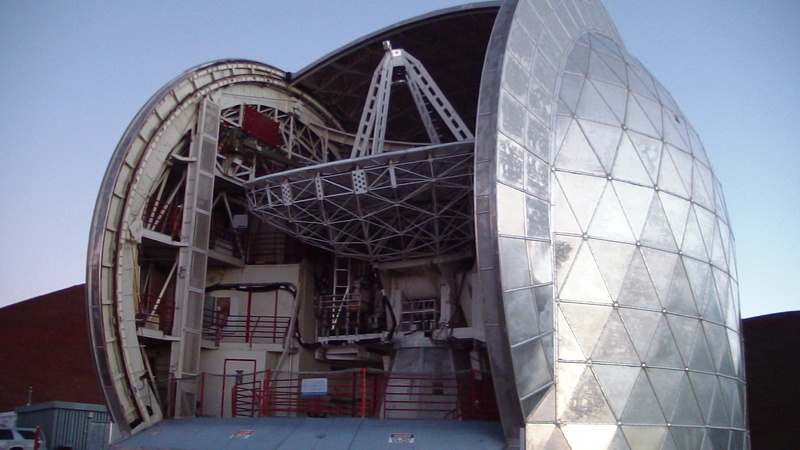 Hajjar argues that astronomy is on a growing curve in Lebanon. Though the number of people in the field is not yet very large, and funding is extremely scarce, students like Alain Khayat might be able to popularize the field of science, and perhaps, provide major breakthroughs on the Lebanese front. “Astronomy was not regarded as a serious career path, at least by my family, and I assume by the society back in Lebanon,” he writes from NASA’s Infrared Telescope Facility, at the University of Hawaii in Manoa, where he is designing and building instruments for ground-based telescopes, and observing planet Mars for his PhD. This opportunity came after he had completed a Masters in Mechanical Engineering from Ecole des Hautes Etudes d’Ingénieur in France. The young student from Lebanon will be traveling to Caltech Submillimeter Observatory (CSO). From conception the ALMA project is meant to address some of the deepest questions of our cosmic origins by using state-of-art technology to probe mysterious structures in space. Arguably, the most important project of our generation has teamed astronomers in unlikely pairs, working together broadly on the general development of astronomy worldwide. Their collaboration will test the various hardware components working together in extreme environment to overcome the complexity of the observatory, and of space.